Xiaomi Corp, which released its new full-view display screen model Mix2 in Beijing today, said it is now again one of the world's top five smartphone vendors, and “passed the toughest time” and is "ready to shock the world". In the second quarter, Xiaomi's smartphone sales soared 60 percent to 23.2 million units and helped the company return as one of the world’s top five smartphone vendors with a 6.2 percent market share, behind Samsung, Apple, Huawei and Oppo, according to research firm International Data Corp.
“We have passed the toughest time. 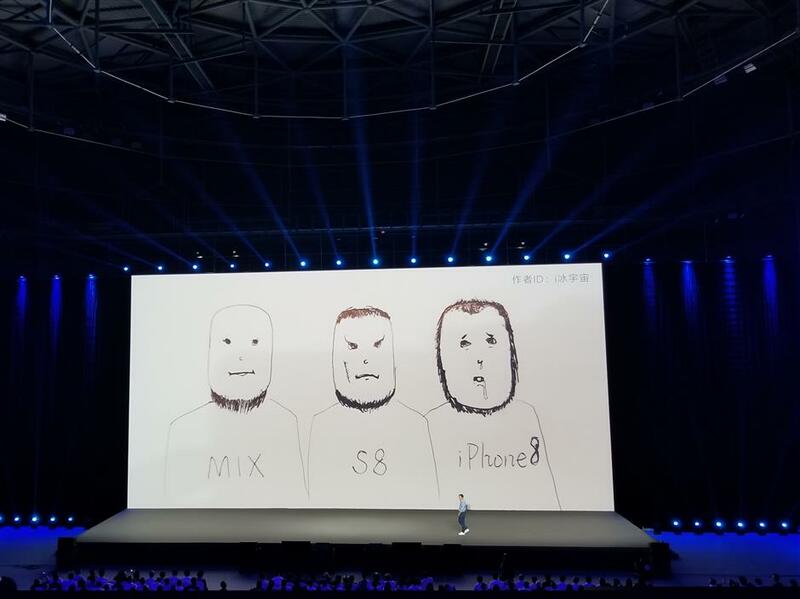 Now we are ready to shock the world with the new Mix 2,” said Lei Jun, chief executive of Xiaomi. Overseas markets help Xiaomi gain market share as it became one of top five phone models in 12 markets overseas, including Russia and India . Meanwhile, the flagship Mix 2 model features full-view display screen with wider view angle and bigger display area. It costs from 3,299 yuan (US$499), cheaper than Samsung and Apple’s flagship models. Xiaomi’s release triggered a battle of full-view display screens, which are set to become the most important technological upgrade in the smartphone market in 2017. Apple, Samsung China and Vivo are going to release new models with the full-view display screens later this month.